On Monday, December 5th, 2017, the International Olympic Committee made an unparalleled move by banning the entire Russian Federation from competition in the upcoming winter games. Never in Olympic history has an entire nation been subject to a comprehensive ban of this magnitude. 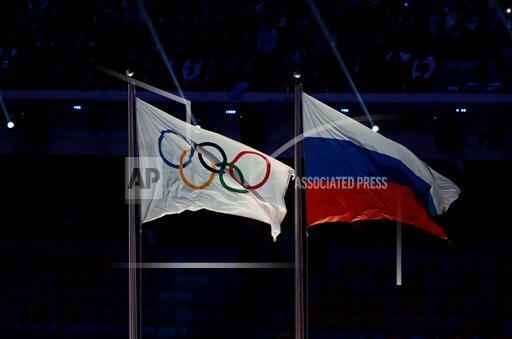 As an olive branch to athletes, the IOC has stated that it will allow participation by Russian competitors who (1) are NOT in the midst of other IOC penalties, (2) are NOT in the midst of penalties from the anti-doping agencies of their home countr(ies), and (3) can meet compliance mandates prior to the winter games. Credible evidence began to mount from the dueling investigations including results from the POUND Report, Oswald Commission Hearings, as well as the ‘McLaren Report’. Each forensic analysis was done against the backdrop of organized doping throughout Eastern Europe; centered within Russia and involving the conspiracy to conceal evidence with the assistance of the Russian secret service. The international community believed that the IOC mishandled strong evidence that began to emerge during the winter Olympics in Sochi – with even stronger evidence beginning to circulate during the summer Olympics in Rio. The sweeping ban of Russian participation comes on the heels of the IOC’s sanctioning of 3 Russians as a part of the Oswald Commission. It was determined that Yulia Chekaleva (cross-country skier), Olga Zaytseva (biathlete), and Anastasia Dotsenko were in violation of Article 2 of the IOC’s anti-doping regulations. Such findings disqualify their outcomes of the 2014 Sochi games and deem them ineligible for accreditation for all subsequent Games of the Olympiad. The IOC Disciplinary Commission is comprised of Denis Oswald (hence Oswald Commission Findings…), Juan Antonio Samaranch (who’s been mentioned in investigations pertaining to the selection of host cities…), and Tony Estanguet. Denis Oswald’s commission re-analyzed all Russian samples that were submitted for the 2014 Sochi Games. Additionally, the Oswald Commission employed lessons learned for the determination of eligible athletes ahead of the 2018 winter Olympics in PyeongChang. The International Olympic Committee was founded on June 23rd, 1894 in Paris and now is headquartered in Lausanne, Switzerland.